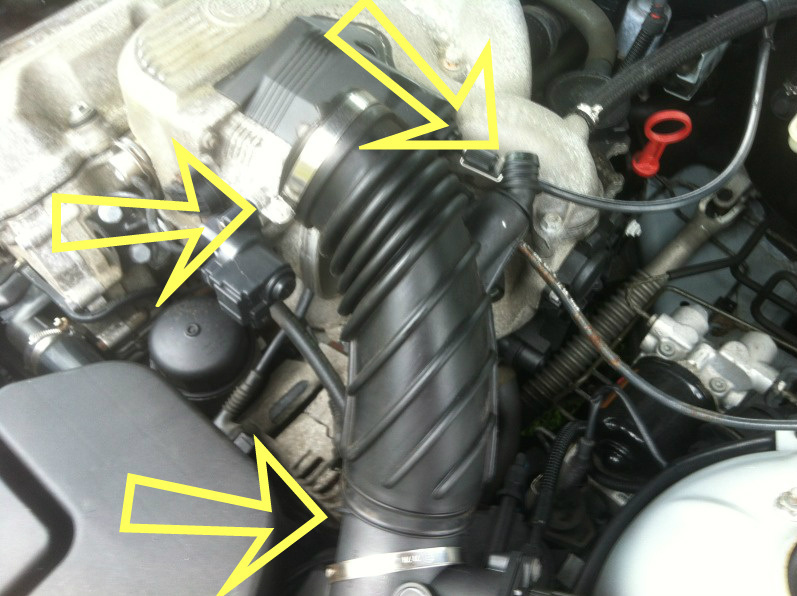 Use a flat head screw driver to loosen the two clamps holding on the intake boot. Remove the boot by pushing away then pulling off. Disconnect the hose on the bottom too. 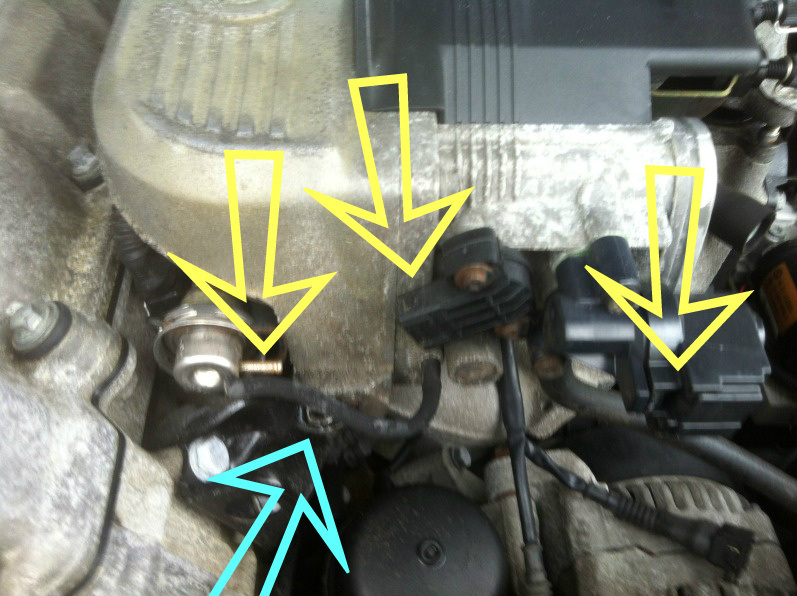 Disconnect the Idle Air Control, Throttle Position Sensor, and vacuum line going to the fuel regulator. 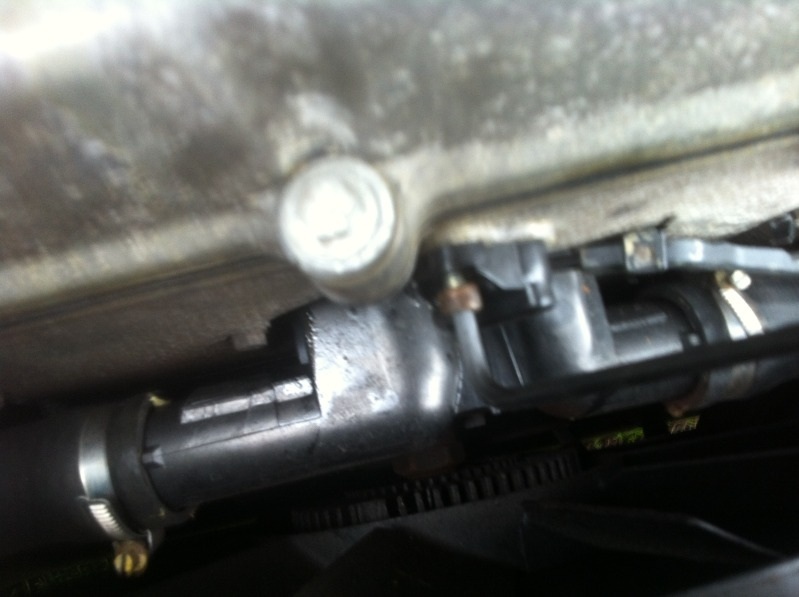 Then remove the single 11mm bolt holding the bracket to the upper intake. 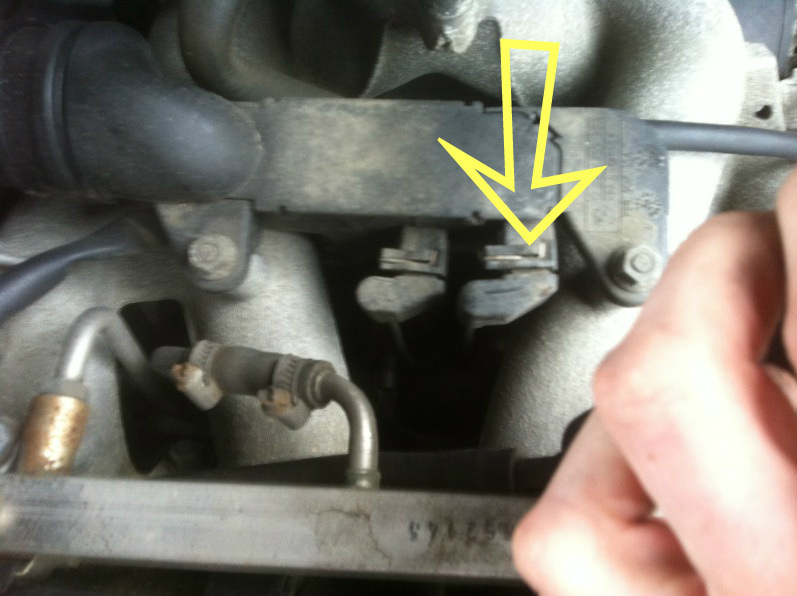 Remove the center bolt and two nuts pictured on the upper intake. Loosen Only! the single bolt near the firewall holding the bracket to the upper intake using an 11mm box wrench. Then lift up the intake carefully and place towards driver side. 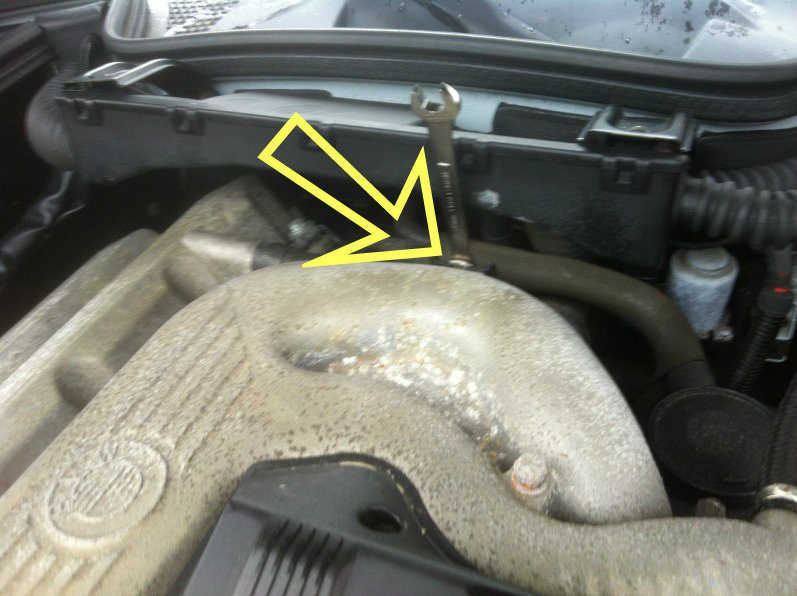 Locate the Cam Sensor in the front of the engine with a single 5mm Hex Bolt in it, remove the bolt. 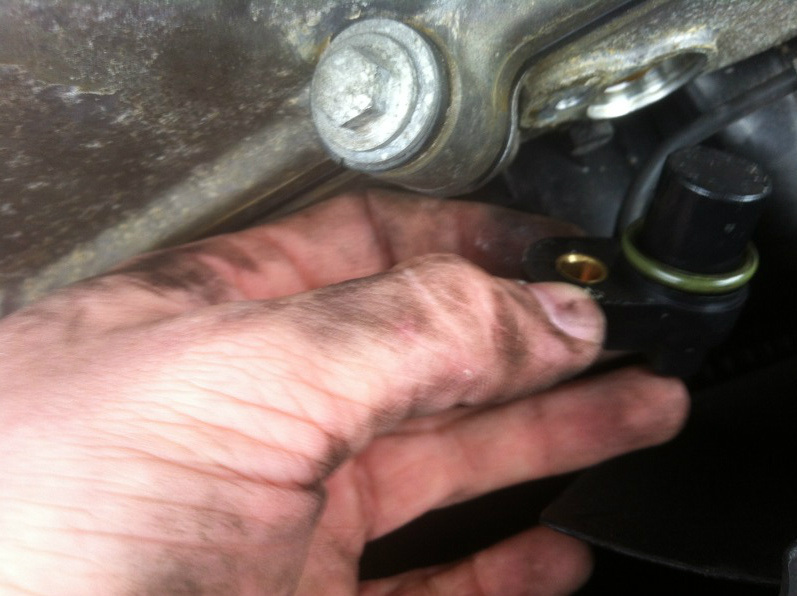 Next remove the Bolt holding in the sensor loom with a 10mm socket. Keep the green O-ring. 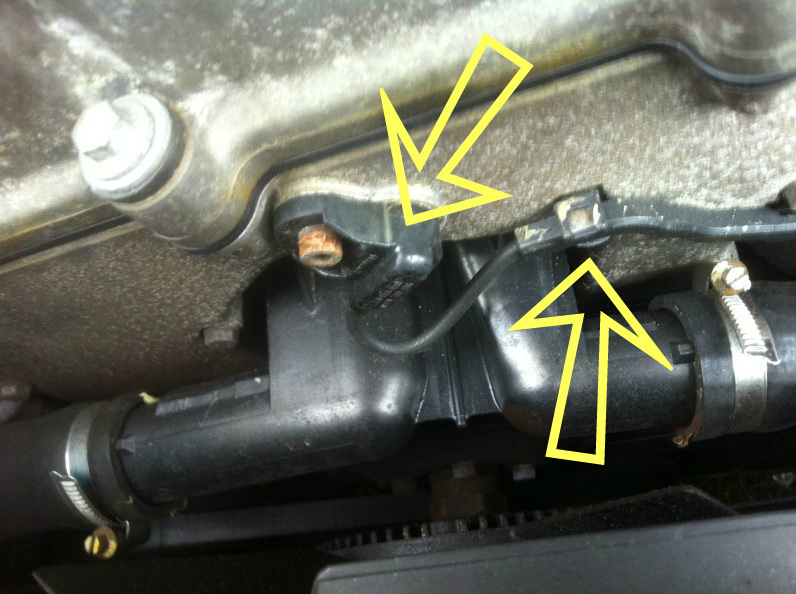 Look in the spot where the upper intake was, you'll see a black box with 2 connectors in it. 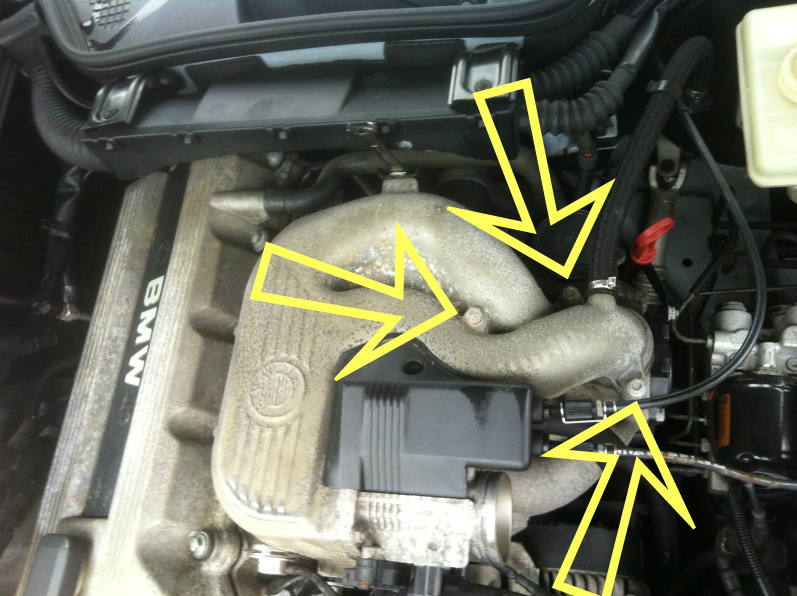 The one closest to the front of the engine is the cam sensor pigtail. Push in the Metal clip on the side of the pigtail and pry on the connector with a flat head screw driver to remove it. connector back under the intake and grab it through the hole in the middle to pull it up to the connector. Always remember to push in the metal clip before re-plugging in sensors. Put the Loom back onto the cam sensor wire. Plug the connector in, bolt the loom back onto the engine and install the new sensor. Installing the sensor may be tricky; I twisted mine as i pushed it into the hole to make the O-Ring seat properly, it will pop into place if you do it correctly. Reinstall the bolt and hand tighten it. Reinstall the upper intake and torque the top 3 bolts to 11 foot-pounds or 132 Inch-pounds. Tighten the rear mount bolt and reinstall the front mount bolt and hand tighten both.